Did anyone catch the Nate Berkus show yesterday? all decked out in it's flea market and 2ND hand glamour! Tell me this kitchen is not the most amazing kitchen ever? Look at that teal fridge! She turned an unused bedroom in her 1000 square foot home into a closet. Are you dying right now? She says that almost every item in her home is used~love that! You can read more about her here, on Country Living. Amherst Gray on almost all her walls. I think you have to have some serious talent to be able to take such a mish mash of things and make them look like a million bucks! Awesome...I want to marry her. 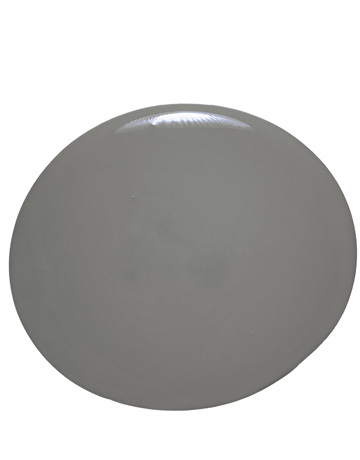 I am going to get some amherst gray paint now and paint my dogs. I saw that show and I LOVED her house too! Ahhh...that closet! She really was TOO cute! Wow! 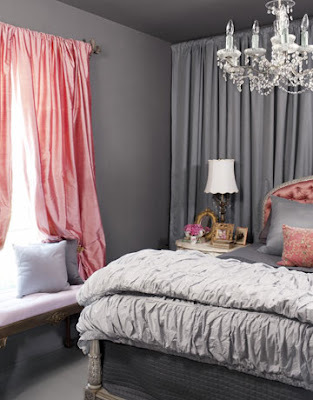 Amazing place, I love the grey everywhere - it really shows off her decor! I will trade you...we(Boston area) just got yesterday our third snow storm in 4 weeks... 13 inches, 18 inches and yesterday about nine...so bring on the rain....I read about her in Country Living...Awesome!!! What a fantastic lady! It's my dream to have an eye for second-hand items and know how to use them properly. We have a crush on the same person...now. Thanks for posting amazing talent...love everything! Yes I saw the show and I loved her whole House. I was thinking to myself does she have a blog??? I wish she did. And if she does I'm missing it. Love the gray I'm getting ready to paint my cabintes in my kitchen Gray on the bottom and white on the top. will post when done. will post when done. I just love her style! Everything is just gorgeous! Sadly I had a previous engagement at the time Nates show aired. Thanks for posting this or I would have missed this great house. I love it. I always have trouble mixing and matching styles! I love all sorts of styles, french, country, shabby chic, industrial...on and on...but can NEVER seem to make them all work together...it's the color thing that gets me! Her home is such a great example of finding a clever way to combine all of the things I love! SO CUTE!!! Thanks for sharing...I'll have to look up his show, I forgot all about him for a while! That article in Country Living was amazing. It inspired me to paint my lower kitchen cabinets a color called "Slate" from Restoration Hardware, which was very similar to what she used. Thanks for sharing this! I have a crush as well! Saw her on the Nate show too and I am in LOVE with her style. Ooh la la! Thanks for sharing this--it is so beautiful. I love the bird on top of the frig and the interplay of colors in the kitchen! i love her house, who wouldn't want a closet like that. Loved it! I always think of sending some of my house pictures to Nate for the House Proud segment UNTIL I saw her house!! Beautiful. I'm thinking of making one of our unused rooms into my own dressing room too. How glamorous! Great images. Thanks for putting them on your blog. I remember that article in Country Living. Beautiful. Ok. I have to comment on the song that came on when I clicked over here. I am a HUGE fan of the Ink Spots --and no, I am not 85 years old, but my dad is. We grew up on the Mills Brothers, The Andrew Sisters, and of course, the Ink Spots. I love that! 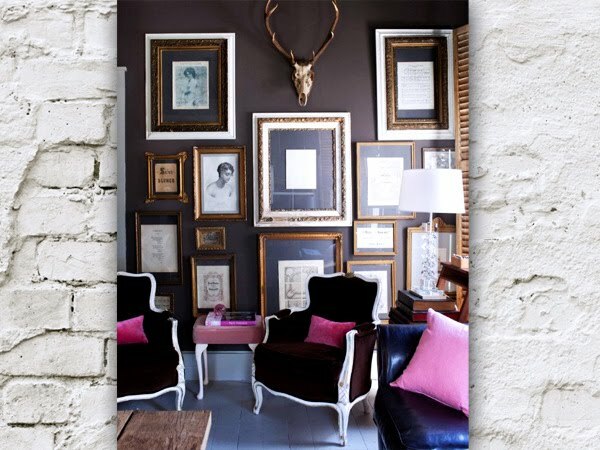 The grey walls- Love it!! She does have the decorator hand. Thanks for sharing the photos with us. 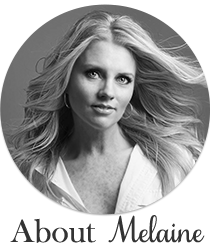 Her home was featured in one of the home decorating magazines this past summer or fall. I think it was Country Living. Anyway, I LOVE her look. And she is a doll, too. I have GOT to start TIVP'g Nate. I'm going to go do that right.now. It was the only Country Living I saved from last year!!! That wine cellar/dining room in the basement.....are you kidding me?!?! I just LOVE seeing creativity and boldness in homes like this. I watched it too!! It's amazing and beautiful! I love her closet. The Nate Berkus show hadvher on and another beautiful home set in Brooklyn New York which belongs to Lyndsay Caleo and Fitzhugh Karol. Did you see that episode? Just beautiful! Don't think we get that show here in Australia. Love the grey, it's perfect. I'll be doing similar colours in my place shortly! Did she have a man in her life? Somehow I couldn't imagine my husband walking through the closet or sleeping in that bedroom! I guess that's sort of the point though, isn't it? It's like a woman's dream space! I remember her home from the mag. And I am LOVING those green kicks with the gray dress! it's gorgeous! I could use her help in my living room! Even though her kitchen is completely different than mine I just LOVE it! She has great style! I am loving the chandiliers in her kitchen, bedroom and closet! And that closet is amazing! Maybe I can convince my husband that both girls should share a room so I can have a closet like that! I saw her in Country Living as well and love her. I'll have to catch up on my DVR recordings of Nate Berkus now. crushing on it too! Great taste! 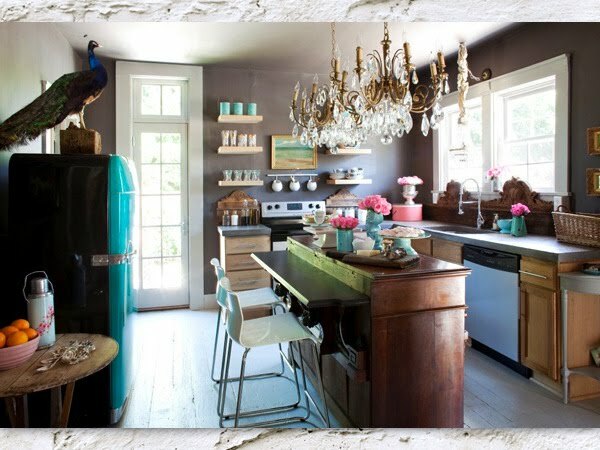 Love the gray she picked and the kitchen...fabulous!! I missed that show too! that girl is awesome! I go back to pics of her home for inspiration over and over again.